"Take a trip to the south to breathe some fresh air.” Believe it or not, travel agents in North China are currently promoting “good air” tour programs to southern China for those who hope to escape the hazy and heavily-polluted north. 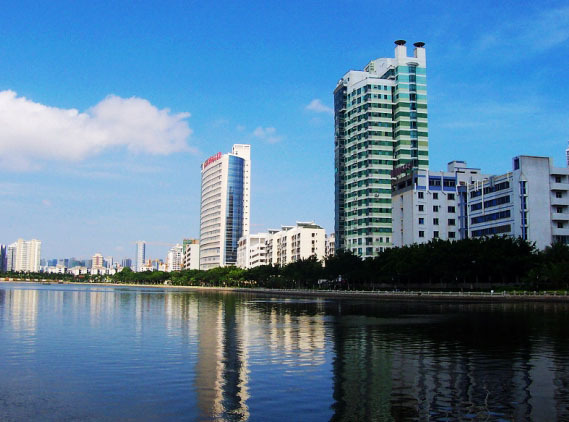 Hainan and Fujian Province, which are famous for their warm weather, beautiful coastal scenery and good air quality, are the two hottest destinations for a hazy weather getaway to southern China. Many travel agents in Hainan and Fujian are launching “good air” tour programs to attract tourists from northern China. "We have received many elderly tourists from Beijing, Tangshan and Hangzhou who chose to travel to Hainan to get away from the choking air in these cities,“ said a manager of a Hainan travel agency. Many Fujian travel agents are also rolling out their good air travel lines to cash in on the market. According to the data provided by Ctrip.com, a leading travel portal in China, inquires on Xiamen travel have jumped by 2 to 3 times on their website since January this year. Many elderly inhabitants of Beijing, Tangshan and Hangzhou who felt ill from the air in their cities have chosen to come to Xiamen for the winter. The beginning of 2013 saw many cities in northern and eastern China blanketed in thick smog which many believed was caused by heavy air pollution. In the Chinese capital Beijing, the air quality index soared past the highest level of 500, or ‘beyond index’ on 12th and 13th Jan. Many other cities such as Tianjin, Wuhan and Hangzhou have also reported hazardous air.